InnoGear is a very popular brand when it comes to diffusers. That is mainly because they have a multitude of models that you can choose from based on your personal preferences, as well as the many features that they all have to offer. No matter if you’re simply curious about the benefits of diffusers or if you’re on the lookout for a new unit to replace your old one, the InnoGear Aromatherapy Essential Oil Diffuser is a fantastic model to take into consideration. The InnoGear Aromatherapy Essential Oil Diffuser is the second version of the model, as the company read through a lot of customer feedback and designed a unit that offers more features that are easier to take advantage of regardless of where you have the unit installed. This is easily one of the most impressive things about the diffuser, as there’s nothing better than having an upgraded model at your disposal. Overall, the design of the InnoGear Aromatherapy Essential Oil Diffuser is incredibly user-friendly, which is why it’s one of the most popular diffusers you’ll find. It also has a very unassuming aesthetic that will work in bedrooms, offices, living rooms, or anywhere else in your home. Also, we love how this particular diffuser is designed with the sole responsibility of aromatherapy, rather than focusing on humidifying, so you’ll be able to get more out of the essential oils that you use. Who Is This Essential Oil Diffuser Meant For? 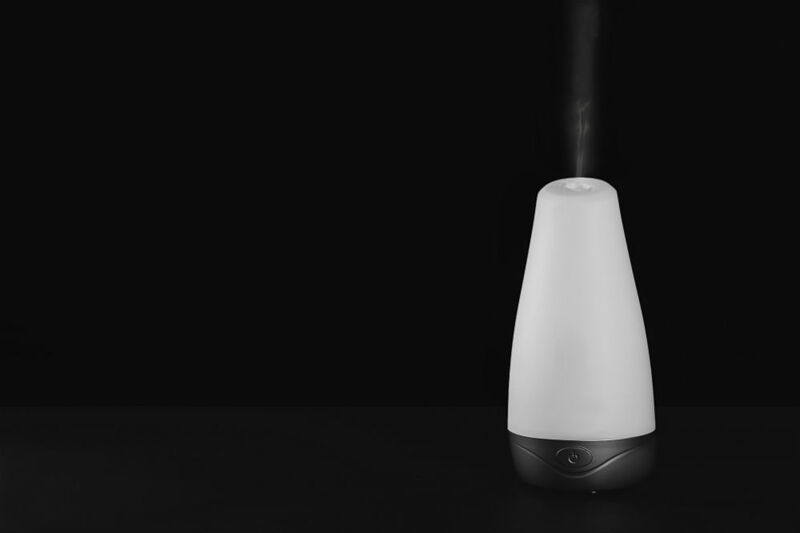 There is a multitude of people who will be able to benefit from the use of a diffuser, especially if you’ve always been interested in aromatherapy and how it can revolutionize the way you feel and live in your home. With the right essential oil blends, you can transform how comfortable your home is, how much sleep you get at night, or even help your children get more focused when it comes time to do their homework. 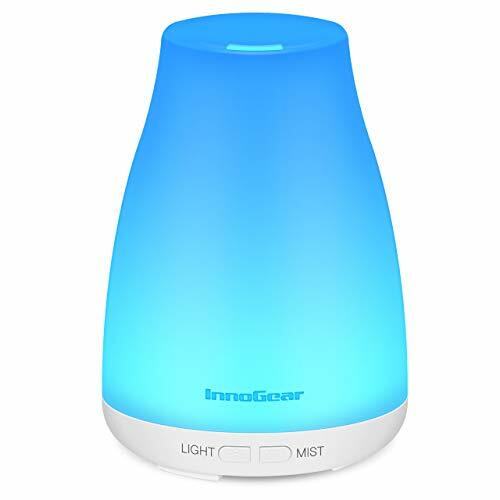 Essential oil diffusers such as the InnoGear Aromatherapy Essential Oil Diffuser are also beneficial for people who find it particularly difficult to breathe at night, especially as a result of contaminants in the air. Diffusers combine water with oils in order to create a soothing mist that clears airways so that you can get the best sleep at the end of the day. There isn’t much included with the InnoGear Aromatherapy Essential Oil Diffuser, which is typical for most diffusers. In fact, if you’re able to find a unit that comes with additional items such as sample essential oils or cleaning materials, it’s an added advantage. For each order, you will receive the base unit, the adapter so that it can be plugged in, and a user manual. Ultrasonic operation: As one of the largest selling features of any diffuser, this model offers ultrasonic operation which is designed to make the unit silent as it transforms the air in any room in your home. Seven changing LED lights: There are seven different LED light settings that you can choose from, which helps to make the InnoGear Aromatherapy Essential Oil Diffuser perfect for areas that your children frequent, as it doubles as a nightlight. You also can dim the light, depending on the ambiance that you would like to create. Auto shutoff: As a feature designed to give you peace of mind, the unit will turn itself off as soon as it runs out of water to help prevent fires and the unit from overworking itself. Dual misting modes: With the ability to choose between a continuous and intermittent misting, you will be able to make the water in the reservoir last longer or fill a room with a full burst of essential oil. Small reservoir: The only disadvantage to the InnoGear Aromatherapy Essential Oil Diffuser over other diffusers is it has an incredibly small water reservoir measuring in at 100ml. It surely won’t be able to last throughout the entire night, especially if you have it set on continuous misting and you will be responsible for frequently refilling the unit. With the help of the user manual, you’ll be able to know the easy-to-follow steps for setting up your diffuser. Unfortunately, many people don’t know what steps should be taken in order to get the most out of their diffuser over the long run. The most critical thing to remember is that your diffuser will need to be cleaned regularly, especially if you are filling it with tap water, as it’s full of minerals. The more minerals that the water reservoir of your diffuser is exposed, the dirtier it will get, which can lead to clogging. You’ll want to use a soft brush and a microfiber cloth to wash the unit regularly and avoid using soap after its initial washout. A fantastic alternative to the InnoGear Aromatherapy Essential Oil Diffuser is the Natrogix Totem Essential Oil Diffuser because it has a couple of extra features and is available for around the same price. Three misting modes: With the Natrogix Totem, you can choose between mist mode, continual misting, and a dormant mode, which can give you up to 12 hours of continuous misting. Heat-free: Another interesting feature of the Totem is that it produces mist without the need for heat, which helps to create a more cooling and soothing environment. If you’re looking for a small and unassuming diffuser that you can stick in the corner of any room in your home, the InnoGear Aromatherapy Essential Oil Diffuser is a fantastic option. Even though it only offers a 100ml water reservoir, it’s the perfect size for nurseries or small bedrooms, especially kid’s bedrooms. There are plenty of things that you’ll appreciate about this diffuser, especially if it’s your first time using one. Not only is it simple to set up and adjust, but it’s also easy to keep clean and is incredibly quiet while operating. With comforting features such as an auto shutoff and the ability to thoroughly diffuse your favorite oils, you’ll be able to experience the true benefits of aromatherapy as soon as you set the unit up.